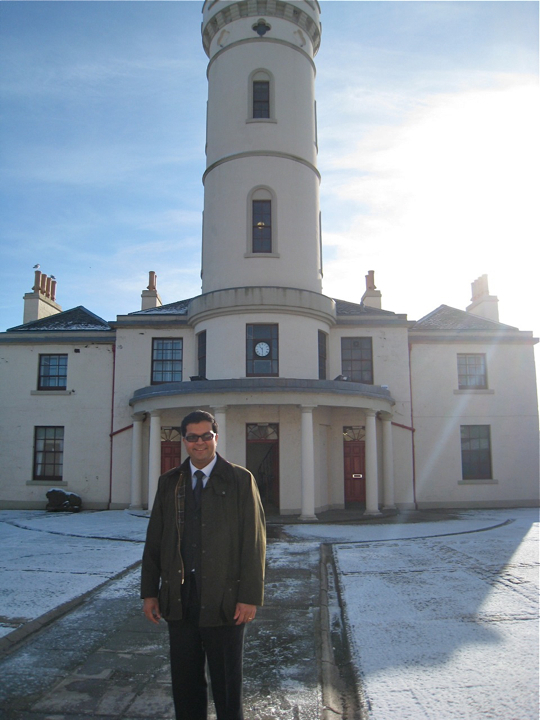 I visited Arbroath’s Signal Tower Museum on a cold, frosty morning. I was delighted to hear from Cllr David May, Convener of Infrastructure Services, that the museum secured £450,000 of investment in the recently passed Angus budget. I thoroughly enjoyed my visit to the museum, the displays are fresh, informative and give a real feel for what life was like for ordinary folk living in Arbroath over the years. Staff there indicated that there were a huge number of items the museum would dearly like to share with the people of Arbroath. Therefore, it is wonderful news that the historic Signal Tower Museum has secured £450,000 for significant renovation from Angus Council. David mentioned that the model of The Bell Rock Lighthouse, acquired by Angus Council, is included in the BBC’s History of the World in 100 Objects. It is no wonder then, that Angus Council want to support Arbroath and put the town at centre stage for the Bell Rock Lighthouse Bicentenary celebrations. This significant investment in the Signal Tower is long overdue and I congratulate Angus Council in their vision in investing in Arbroath to help the community celebrate its rich engineering history. It will benefit the whole of Angus, not only in the Year of the Light, but well into the future.